They say that hindsight is 20/20 and I’d have to agree; especially when it comes to prayer. When I actually take the time to reflect back on my past prayer petitions I am always amazed. Sure, not all of my requests for healing, help or happiness are answered according to my desires. But in every instance, it’s clear that God does respond to our prayers and He has a far superior plan for us (as well as a much broader perspective). More than 10 years ago, I took my children for the first time to prayerfully witness in front of an abortion facility in Raleigh. We were participating in a 40 Days for Life campaign. I had a mix of emotions on that day. Though I felt a genuine sense of duty (to support the campaign, pray for the unborn and set an example for my children), I had doubts. I wasn’t entirely convinced that my meager presence and prayers could effect a change. However, casting my skepticism aside, I focused on simply fulfilling my duty. Then, while I was kneeling beside the clinic driveway and silently offering a rosary, an abortion worker drove up to the exit. She stopped her car, rolled down the window and pummeled me with bitter words. Most of what she said was lost in translation, but one remark reverberated in my thoughts. She told me that I was wasting my time; my presence there was pointless. My reason concurred with the tempter; words uttered into the stratosphere have no power. Yet, my faith reminded me that prayer has a destination (Our Lady, the saints and ultimately Christ) and that nothing is impossible for God. Surely, in 1571, the fight to fend off Ottoman Turks and save the Christian West seemed like a long shot. Rationality divorced from faith said that a fleet of Christian sailors couldn’t save a civilization. But a pope and a group known as the Catholic Holy League had faith in the power of prayer. 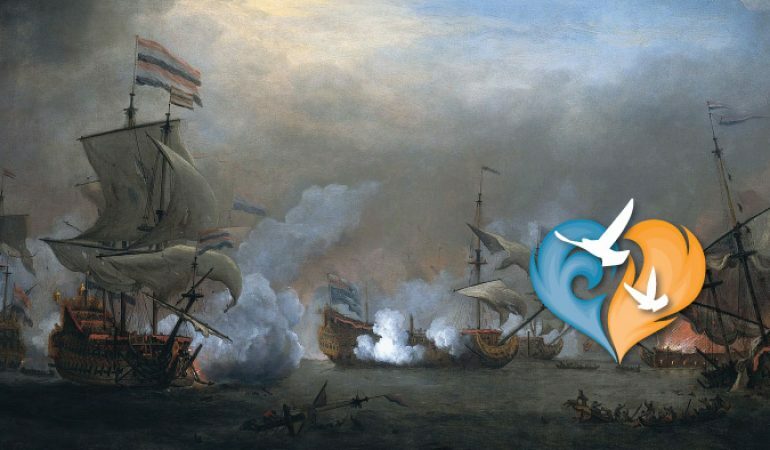 So, under the leadership of Don Juan of Austria, the Holy League prepared for the greatest naval battle in human history. Their final preparations, contrary to standard military protocol, focused less on the physical war ahead and more on the spiritual battle they were about to undertake. On the eve before the Battle of Lepanto, October 6-7 of 1571, Don Juan and his men fell to their knees on their ship decks. And along with Pope Pius V and faithful Catholics throughout Rome, the Holy League prayed for the Blessed Mother’s intercession. More powerful than swords and cannons, the rosary was their weapon against invading Muslim forces. Our Lady heard those prayers and the Battle of Lepanto ended in the overwhelming defeat of the Ottoman invaders. In thanksgiving for the victory, Pope Pius V established the feast of Our Lady of the Rosary in 1573 (the Church continues to celebrate this feast day every October 7th). The Holy League didn’t possess supernatural vision. They couldn’t see the future and they didn’t have hindsight to bolster their confidence. Just the same, I had no tangible proof that my prayers in front of that abortion clinic could merit a victory. I could only trust. 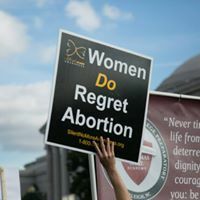 The battle against the Culture of Death rages on; but within a few years of that particular 40 Days for Life campaign, Raleigh Women’s Health Organization (a duplicitous name for an abortion clinic) closed down. In fact, the building (in Raleigh, NC) eventually housed a tubal reversal clinic; wherein, doctors prided themselves on helping couples to conceive by undoing the damage of sterilization. Abby Johnson, a speaker at the 2017 Ignited By Truth Catholic Conference, similarly testifies to the power of prayer. A former director for Planned Parenthood, Ms. Johnson’s abortion facility was the sight of the first 40 Days for Life Campaign in Bryan-College Station, Texas (in 2004). Five years after the campaign of prayer and fasting began outside of her clinic, Abby Johnson walked out on her lucrative career. After seeing the horror of a live abortion via ultrasound, her eyes opened and her heart transformed. The date of her exit from Planned Parenthood, October 6, shouldn’t come as a surprise to Catholics. Indeed, it was just the beginning. Abby Johnson is now a driving force in the pro-life movement. Furthermore, in 2014, 40 Days for Life bought that Planned Parenthood building in Bryan-College Station and turned it into their pro-life headquarters. As of 2017, 40 Days for Life reports that 13,305 lives were saved from abortion, 154 abortion workers quit the industry and 86 abortion facilities closed. Clearly, the echoing voice of doubt and discouragement cannot be drowned out by the reality of answered prayers. And not only prayers answered, but prayers answered in ways that far exceed our human expectations. Whether it be 1571 or 2017, God responds. Throughout her 1917 appearances in Fatima, Portugal, Our Lady repeatedly implored the children to pray the rosary. She assured them that peace would result from daily meditation on the mysteries of the rosary. During this 100th anniversary year, let’s follow her instructions and trust in the compelling power of prayer to usher in lasting peace throughout the world. Check out the Ignited By Truth calendar of events for current events taking place throughout the diocese. Bookmark the calendar and check back regularly. Sign-up for the current 40 Days for Life. The fall campaign runs from Wednesday, Sept. 27 until Sunday, Nov. 5 at A Woman’s Choice Abortion Clinic on Drake Circle in Raleigh. The hours are 7am until 7pm. Register at www.40daysforlife.com/raleigh. Continue to keep (or start now) the First Friday and First Saturday devotions.